County ex-worker says state, local oversight of Unity Center failed patients, staff. One person was not surprised last week when a blistering state investigation found unsafe conditions and poor medical care had endangered patients at the regional emergency mental health facility, the Unity Center for Behavioral Health. That person was Greg Monaco. More than a year ago, the longtime Multnomah County mental health worker had raised similar concerns about Unity with his superiors as well as with Legacy Health managers who oversee Unity. Instead of his superiors following up on his concerns, he was directly ordered to stop raising issues with Unity. When he responded heatedly, he received an oral reprimand. On July 31 he retired, and now he's speaking out, saying that from the outset he was hearing stories from Unity Center staff who were valiantly struggling to do their jobs in the face of understaffing, poor management and a lack of safety measures. 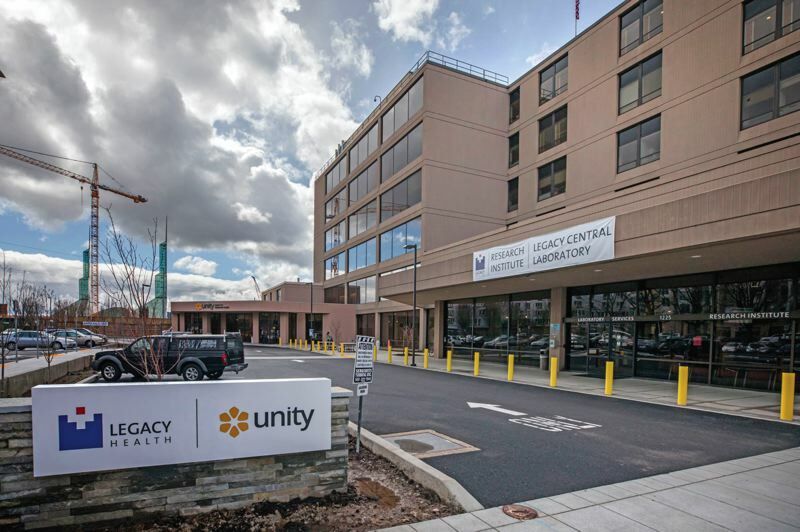 Now due to those same concerns, Unity could lose its federal certification — potentially shutting down a facility considered a linchpin of the local mental health system. The situation underlines how the center has largely escaped oversight from local and state authorities until now. And now, some fear the state's attention may be too late. Monaco says the current dire state of affairs is because the warnings from him and others went unheeded. "I believe that the State of Oregon, as well as Multnomah County ... are responsible for not providing sufficient oversight," he wrote in a letter recounting his experience. "This oversight role was abdicated to Legacy for far too long." The Tribune sent his letter to Multnomah County for response early Thursday afternoon. On Friday afternoon, David Hidalgo, director of the county's Mental Health and Addiction Services department said he did not know enough to comment on the email, with its accusation that Monaco's efforts were stifled and the county dropped the ball. When staff hear concerns about quality of patient care out in the community, "We would be here to support our staff in addressing that," Hidalgo said. "That's important for us to hear and know about." Hidalgo said he did not know the details of Monaco's being told to stop contacting Unity management with the concerns he was hearing. "Context is everything," he said. Legacy spokesman Brian Terrett, in an email, declined to respond to Monaco's concerns about lack of oversight or comment on why, according to Monaco, Unity management complained to his superiors about his concerns. "Without knowing what Monaco's specific concerns are or what 'insufficient oversight' means, it's impossible to answer this question," Terrett wrote. The state found that one patient had died following poor medical care, that a sexual assault was not investigated, lack of training, inadequate safety measures, and that poor conditions had led to patient harm. Legacy officials say they're working hard to address the state's investigation. Unity Center opened in late January 2017 as a 24-hour hospital providing mental health emergency services for adults and adolescents, with about 450 employees. It was set up by Adventist Health, Legacy Health, Kaiser Permanente, and Oregon Health & Science University to give police and hospitals a place to take people with severe behavioral health problems, including the homeless. Doctors and health system executives had advocated for the facility for years, saying the mentally ill were being warehoused in emergency rooms without appropriate care. They said Portland needed a specialized emergency ward for people in need of psychiatric care, including those who are homeless. But while Legacy executives and local officials have praised Unity, members of its own staff have been less happy. In February, two nurses went to the Oregon Health Authority, which licenses health care facilities. Their account generally echoed a lawsuit while alleging Unity fires employees for complaining about unsafe practices at the center. They said Unity's trauma-informed model is itself causing trauma. Due to poor safety practices, "If you get two or three manic sociopaths, they start running the unit," the employee said. "Patients are chronically under-medicated. ... A number of staff have been driven away because it is such a hell hole." In March a report by the state Occupational Safety and Health division of the Department of Consumer and Business Services similarly documented safety problems at Unity. That investigation found about 300 assaults and at least 23 injuries to employees in the first seven months of the center's operation. Investigators found a culture in which management didn't seem to know how often employees were being assaulted, and some staffers were afraid to say anything — fearing it would hurt their careers. Monaco, a pre-commitment investigator, was tasked with probing cases of mentally ill people before they are committed to involuntary psychiatric care. He frequently went to Unity and came back with horror stories, which he says he shared with his superiors. He says he'll never forget the response he received from his manager. "It is Unity's liability, not ours." Based on his superiors' clear desire to not act on the concerns he was hearing, Monaco began emailing Chris Farentinos, the vice president of Unity. He copied his supervisors to keep them informed. At first, he said, Farentinos was receptive. But then he said she asked for the names of staff who were feeding him information. The request came after he sent a May 5, 2017, email to her relating staff concerns that "their views on patient care are not respected" and "that Unity represents a 10-year setback in patient care." According to Monaco, he wouldn't give up his sources, and then says he was "hauled on the carpet by my supervisors," who said Farentinos had complained. He responded heatedly, and was given a verbal reprimand for "unprofessional behavior." Then he was told to no longer email Farentinos. According to a May 20, 2017, email he sent his supervisors, "My understanding is that I was directed not to email Chris Farentinos, the director of the Unity Center [regarding] any problems or mistreatment or neglect of patients or anything else I observe there, but to direct those concerns to you ... who told me in the meeting that there is nothing you can do about Unity, that it is out of your hands." Monaco says Unity amounts to a hospital cost-saving exercise that does not work as well as the hospital psychiatric units it replaced. His concern now: that notwithstanding the most recent state investigation, which led to a 105-page report blasting care at Unity, nobody is watching the center's day-to-day operations. Jason Renaud, of the Mental Health Association of Portland, shares that concern, and also said Monaco should never have been blocked from urging Unity to improve its practices. An acquaintance of Monaco for decades, he called the former health employee "sincere," honest and "authentic," saying he does not hesitate to blow the whistle on perceived problems. Renaud said either the county or the state needs to make clear that they are in charge of overseeing Unity to protect its reputation, or else it risks becoming unattractive to the people who most need it. "People start saying maybe I shouldn't go there, maybe I should just stay home and suffer [or] do something stupid," he said. The facility is overseen by Health Share of Oregon, a collaboration of local hospital systems of which Multnomah's mental health department is a junior member. But thus far, the county's efforts to monitor the facility have been few and far between. Hidalgo, the county's mental health director, said the county's authority is limited to get involved. The county emailed a statement saying, "Where there are concerns, we are part of addressing them and ensuring patients receive the safest treatment. We accept reports, investigate allegations, look at complaints and grievances that are within our authority, and we talk to consumers." In late March, county Commissioner Sharon Meieran said the county needed "to get to the bottom of what's going on" at Unity, following the release of the report in March documenting hundreds of assaults, contrary to how a similar model works in Alameda, California. She arranged an April 24 briefing by Farentinos, where the Legacy executive stressed safety measures and all the other ways in which the center is caring well for patients, drawing praise from commissioners. Just three days later, the state investigation began that came to contrary conclusions.